That pretty much describes how I am feeling today. 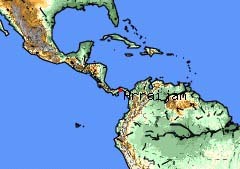 I fly to Arraijan, Panama tomorrow afternoon for my first Medical Mission trip. I have been assigned to work as an assistant to the Optometrist. I have spent some time this week going over and re-going over all of my paperwork and also gathering things and packing. I am only able to take one checked bag and one carry-on. It is a challenge to pack so few things. I am doing my best to take only what I need. I am really looking forward to working next week to better the lives of others. I anticipate that I will have a different perspective on things upon my return. I decided it was best to only take a disposable camera or two instead of my good digital. I hope to share some photos when I return after the 30th.